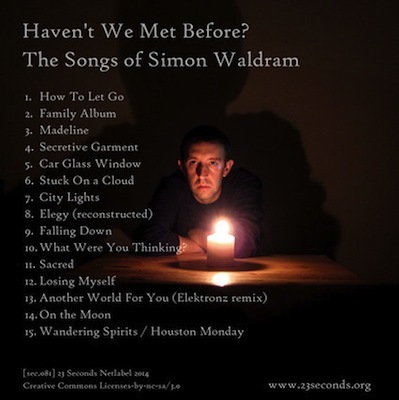 Singer-songwriter Simon Waldram uses his nocturnal music to produce an evocative album that sounds emotionally and psychologically moving and stirring. This artist from Nottinghamshire, UK released Haven’t We Met Before? early this March; a 15-track vintage-sounding album that includes indie pop, psych-folk, experimental music. Waldram’s guitar work is immaculate and fascinating. He plays his guitar like a very imaginative artist recording from a lost world. In Family Album, his pacifying voice is accompanied with his guitar, which is strummed tenderly. Car Glass Window is a raw and clever recording, like the feeling of stumbling upon a message in a bottle tossed into the sea from 50 years ago. It has an esoteric charisma that makes you want to think of traveling back in time while watching the pictures of yesterday flash in front of you. Elegy is as haunting as how it should be. With this four-minute track, Waldram puts the listeners in the most melancholic place they have ever been. The sounds coming from the instruments get thicker and thicker toward the end, which intensifies the emotion as this instrumental track goes by. 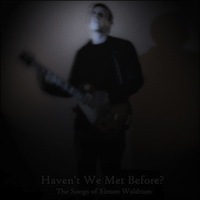 Simon Waldram’s vision is remarkable, and he’s given us an amazing glimpse of his talent as a singer-songwriter on Haven’t We Met Before?, which definitely shows fragility and sincerity. another world for you (elektronz mix)car glass windowcity lightselegy (reconstructed)falling downfamily albumfree downloadhaven't we met beforehow to let golosing myselfmadelineon the moonsacredsecretive garmentsimon waldramstuck on a cloudwandering spirits/houston mondaywhat were you thinking?